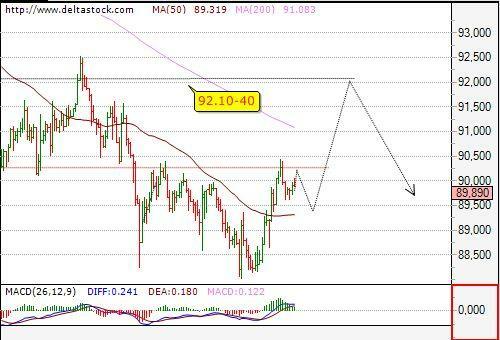 Our target at 90.20 has been met and a larger rebound is to be expected, for 90.91, en route to 91.33. The overall bias remains negative, but the minor downtrend from 92.32 is already completed at 90.23. 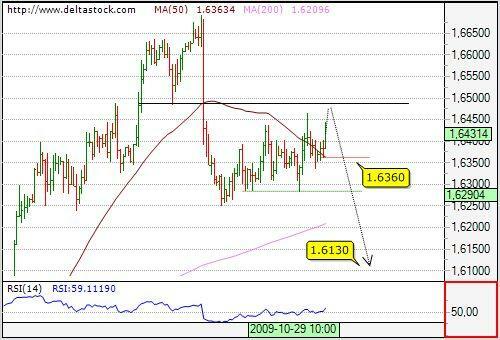 Still in the consolidation pattern above 1.6250 and a break below 1.6285 support is needed to confirm, that a sell towards 1.6130 is on the run. Important on the upside is 1.6490. 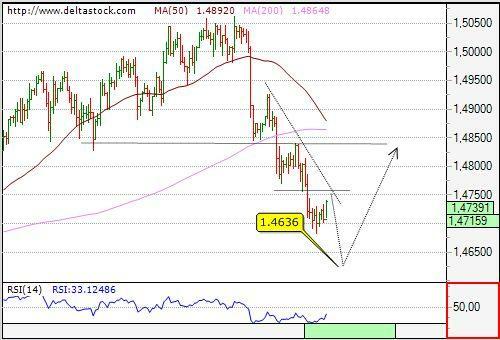 Intraday bias is positive towards 1.6465, en route to 1.6490 with a crucial level at 1.6360.